Guys, it's finally the big day for our link up! We've been so excited to host this link up and encourage each other towards our goals for next year! Here are my big dreams! 1. Keep a blog calendar and plan out posts. This is one I've been thinking about for awhile. Everyone says that keeping a blog planner helps big time and I'm ready to try it. I think it will help to keep everything more focused and consistent. Do you use a blog planner? I'd love to know your favorites! 2. Post two times a week. Eeek, this one scares me. Typing it out actually means I need to stick to it, right? Sometimes I feel so lost as to what I could write about. But I'm going to use my new blog planner to help plan out posts and keep posting twice a week! Do you have any tips on how to stay inspired with new posts? 3. Learn more about sponsorships. I really want to dive more into the world of sponsoring other blogs and potentially offering sponsorships on this blog. I really need to read some more on this. Do you have any advice for sponsorships? 4. Go through Blog Life by A Beautiful Mess. I've been wanting to do this for awhile, so why not start now, right? I think it will definitely help me focus more on what I want to see with this blog. I think this will also help with my inspiration lulls when I get into those. Have you done this course? Thoughts? 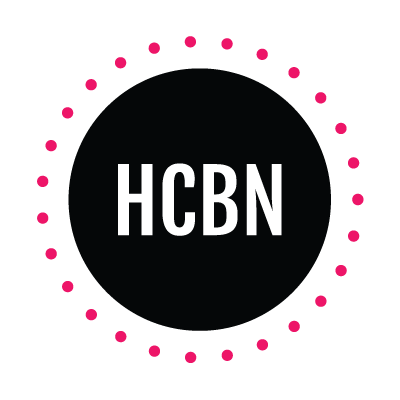 I really want to create a community here on my blog. Obviously, it's easier said than done. I'm a part of a few online communities, and I love it. So what are your goals and dreams for 2015? We want to hear it! Let's keep each other accountable and encourage one another! 1. 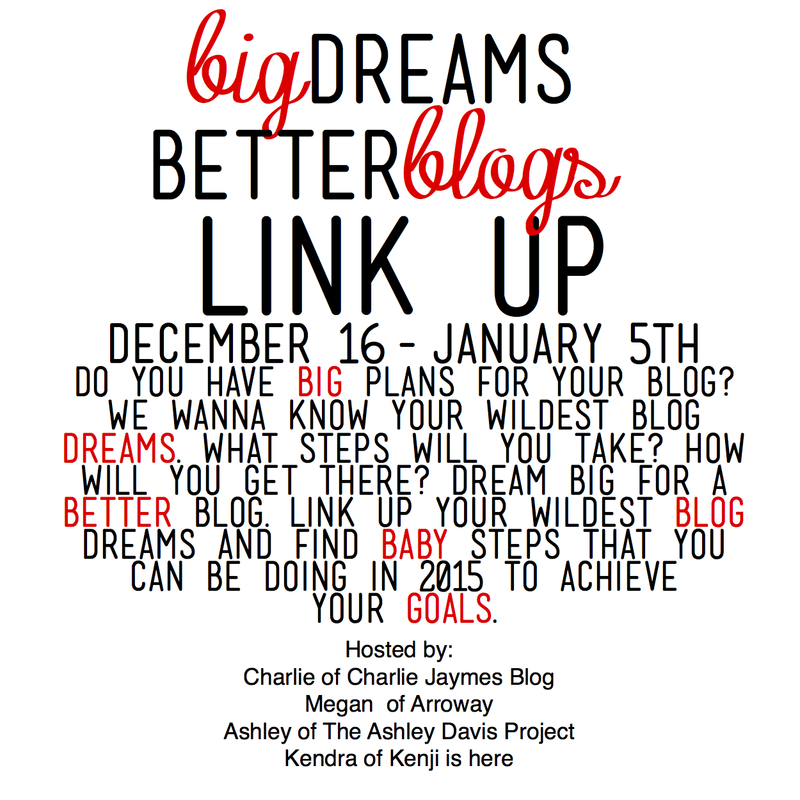 Share your posts about your big dreams for your blog in 2015. Please only link up the specific blog post. Entries completely unrelated to the theme or linked to your homepage will be deleted. 2. Link back to this site so others can get their big dreaming on, too! 3. You can link up your posts on any day until Monday, January 5th at midnight PST. I love your goals! 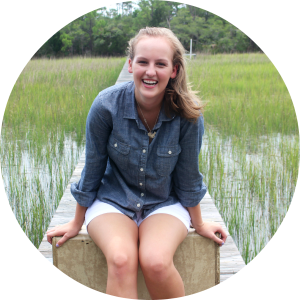 We should all go through Blog Life together (that's one of my goals, too!) We actually have a couple of the same goals. I want to sponsor some blogs, too! I would love to swap button with you when I finally get around to making mine! :) I'm so excited for our link up! These are such great goal! I have similar goals. I think these are awesome goals to strive towars for 2015. I think with the planner you will be able to blog twice a week. I know I slack in planning and when I actually do take the time to plan posts I can post more often. I can't wait to see what becomes of your blog! GREAT goals! I'm just starting to use a blog calendar I purchased, and I think it's really going to help me with consistent content. You can totally make posting twice a week happen! And Community. Is. KEY. That's one of the top reasons why I love blogging, and my favorite blogs are those that have a community to grow and foster from. Have a Merry Christmas!